JCW Acoustic Flooring specialise in the installation of acoustic flooring throughout the UK, installing in excess of 100,000m² of acoustic floors per year. We install flooring on projects ranging from small domestic properties to large apartment blocks, hotels and public buildings. Cellecta ScreedBoard 28 is the only single layer solution for timber frame buildings that is compliant with Robust Details. 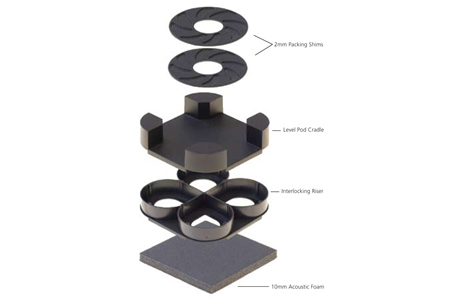 Acoustic deck systems are frequently used to effectively reduce floor sound transmission. 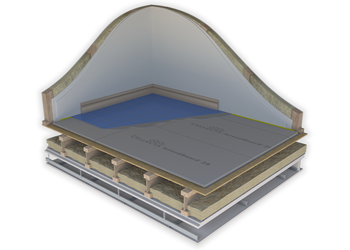 The JCW Acoustic Cradle System can be used on both timber and concrete subfloors. 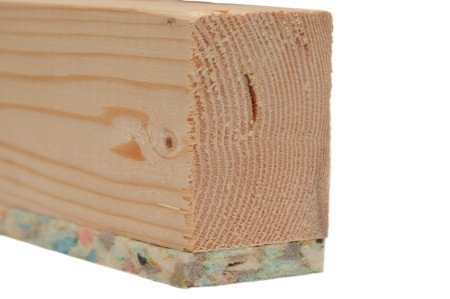 Acoustic batten systems are used for both concrete and timber acoustic floor installations. Our product portfolio includes acoustic batten systems such as the JCW 50C Acoustic Batten System which is designed for use over concrete sub-floors and also the JCW 80C & 80T Acoustic Batten Systems which can be used over both timber & concrete sub-floor structures. To compliment these products JCW also offer the JCW Acoustic Cradle System. Exceeding the requirements set out in Part E of the Building Regulations. The product portfolio also includes JCW Acoustic Deck 28, 32 & JCW Acoustic Deck 19 which are overlay panels with pre-bonded resilient layers. 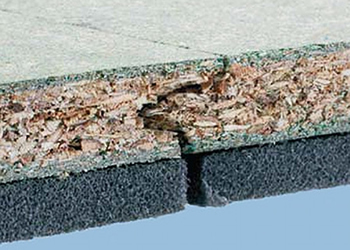 In addition JCW Stonefloor which is made from dense mineral wool slab is also available in a number of thicknesses to suit a wide variety of floor heights. We also supply & install Cellecta ScreedBoard 28. Cellecta ScreedBoard 28 is the only single layer solution for timber frame buildings with a Robust Detail and is proving a popular choice with when constructing timber frame apartments. JCW have installed a wide range of acoustic floor products in variety of applications over the past 12 years and have the knowledge and expertise to successfully complete even the most difficult of projects on time keeping you on track and within budget. To view our acoustic flooring installations, see our case studies page here. JCW Acoustic Flooring are experts in the installation of acoustic flooring systems throughout the UK. For more information call JCW Acoustic Flooring today on 01204 387029 or email us on enquiries@jcwgroup.co.uk..